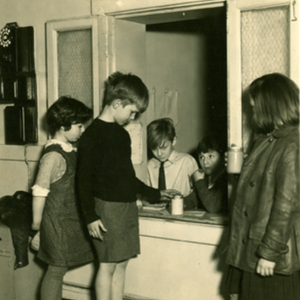 IXs work in the school store. 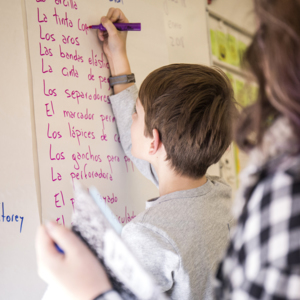 A X records vocabulary in Spanish class. 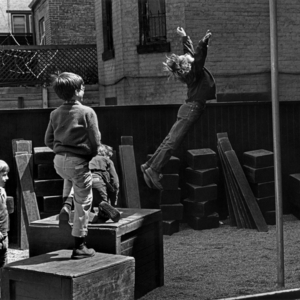 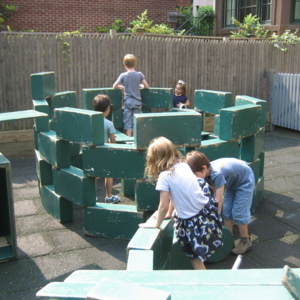 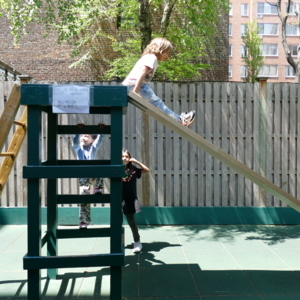 Children work together to build a tower with outdoor blocks in the Block Yard.